Mel and Debbie were by far the best Realtors we have ever dealt with. Selling our house was a breeze with them. They went above and beyond my expectations to sell our home. From coordinating open houses, to advertising our home - they were always available and willing to help any time I needed. I would use them and refer them to anyone! Exceptional service, communication and responsiveness. Handled everything long distance. Would highly recommend. Excellent listing on Zillow. Found a qualified buyer quickly! Because of Mel and Debbie Hallerman everything that I had wanted was exceeded by selecting them as my personal realtor. First, I first met them on a Saturday, along with previously talking with two other realtors regarding the selling of my home. What was presented to me by Mel and a Debbie was the reason why I chose them. They had a plan to sell my home! My home was a corporate relocation sell and I had a strict timeline to have it on the market, sold and closed. By choosing their services, just days after meeting, I had two professional photographers at the home, the home was being measured, home fliers were created and a Broker’s Open House was booked. That very next weekend after just meeting with them for the first time, the home was officially on the market. In just hours multiple offers had rolled in and on the second day, an offer was made. The offer was well over the selling price and that was the trend seen with all the offers. Mel and Deb truly took the hard work that went into remodeling the home over four months and made it completely worth it. Their relationships with the community ensured my home would apprise appropriately and it sure did, more than I expected. The home officially closed and sold in less than 30 days from when it was put on the market. I was able to beat my timelines of selling my home and sold my home for more than what I had expected and what it had appraised for. I know any other realtor would not have had the plan, energy and commitment to sell this home the way it sold, in the time it sold. Thank you Hallerman Team for everything! 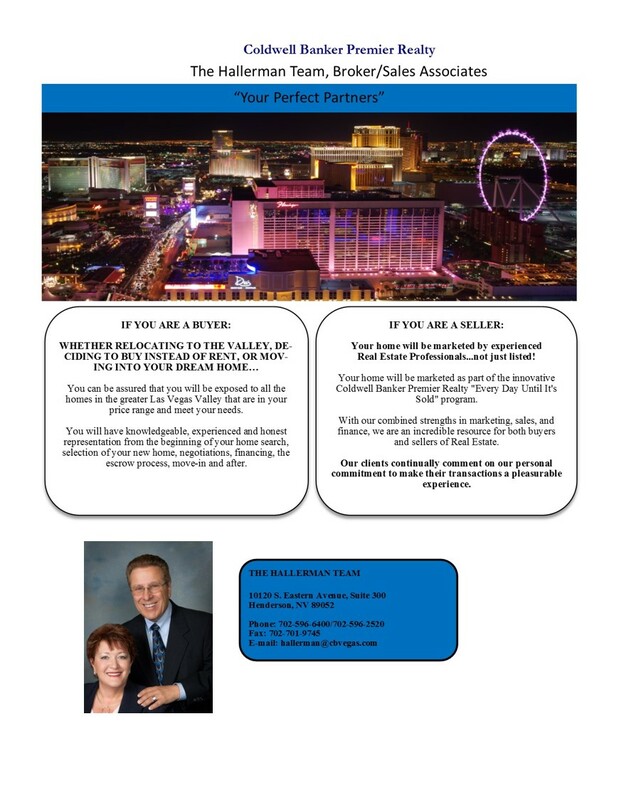 I look forward to working together again when I purchase an investment property in Las Vegas. I have used Mel and Debbie twice now for transactions and they have been absolutely fabulous on both occasions, their professionalism, knowledge and assistance made the experience seem less and stress free. I will definitely use them for any future dealings and have no hesitation in recommending them to friends and family. They were wonderful from beginning to end! Patient, cheerful, responsive, and delightful to deal with. I couldn't have been more pleased! I have purchased many properties during my life and hence worked with a multitude of agents. I have also purchased and sold 4 different properties with Mel and Debbie alone. They are agents beyond comparison. I have never had anyone take so much time and care to know my needs and to go above and beyond both prior to, during, and even after closing. Mel and Debbie are in a class all their own; and if you're fortunate enough to get to work with them you'll be grateful and extremely impressed. I can't recommend them strongly enough. ~ James Arthur Ray Inc. 500 Inductee and NYT bestselling author. 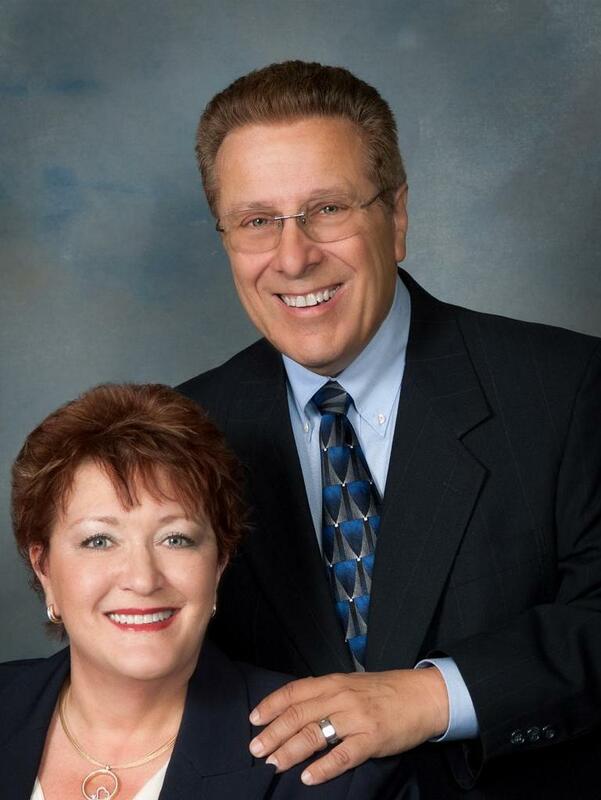 Their expertise of the Las Vegas Real Estate market is the best. Their willingness to provide their clients with the best service is unmatched. We were a military family moving to Las Vegas from out of state. Debbie was so accommodating over the phone that when we made our first weekend visit, we knew we could trust in her experience and knowledge of the market. So much so that by the end of our visit on the last day, the community she took us to is where we now call home. Mel is a numbers man. He oversaw all financial matters, making sure that all documents were correct. We could not have done this move here without them. They will forever have our respect and appreciation. We have worked with Mel and Debbie since since 2012, and they have represented my husband and I in 5 real estate transactions over the years. They are professional, friendly, responsive, knowledgeable and have great integrity. Highly recommend them for your real estate needs! Debra knows every aspect of buying & selling homes.Before there was a question to be answered, Debra had provided guidance to me on how to answer that question making the process very smooth for me. The Hallerman Team is the best real estate Team I have ever encountered. Very professional. Attention to our needs and listened to our concerns. Great people to work with. We love them so much. Working with Debra and Mel is a pleasure - they help you out along the way and are always looking for the best things on your behalf. They treat you like family and that makes the process much easier. Would totally recommend them to anyone! We interviewed three companies before going with Debra. We were immediately impressed with her professionalism, knowledge, and expertise. Photos, videos, brochures were completed quickly and were extremely well done. House sold the first day and we give all the credit to Debra and her team at Coldwell Banker. Thank you for a great experience. We will definitely refer Debra Hallerman to future sellers. Working with the Hallerman Team has been a GREAT experience. They took the worry out of the home selling process. Debra is wonderful to work with. She took the time to know and understand my needs fully before listing my home. And them the follow up was AWESOME. She kept me in the loop every step of the way. I was given top of the line customer service and marketing. I recommend Debra and her Team highly. If you want to sell your home these are the people to get it done. Debra also helped me to find the perfect new home. I can't say enough to express my gratitude. She is the Best!! !